Colleen got the family interested in horses. She was always "horse" crazy and from a young age rode any kind of horse that had four legs. She rode her grandfather’s Belgium work horses and any horse that she could beg her uncles to let her ride. She received her first pony for Christmas when she was about 12. The pony was purchased from Curt Stone of Licking, Missouri, who was an area horse trader. Dusty came with a big red ribbon around his neck and was a gift for the family that consisted of two girls and three boys at that time. Unfortunately for the other siblings, Colleen considered herself the primary owner and dictated who could ride and when. Later her father traded the Shetland pony "Dusty" for a small quarter horse that was due to foal. The mare "Tiny" was in very poor condition, but through lots of love and feed became a great addition to the family. Tiny foaled a little spotted horse colt named "Sugarfoot". The year Colleen started her sophomore year of school, her father moved the family to Overland Park, Kansas. The move entailed selling Tiny and the colt Sugarfoot. 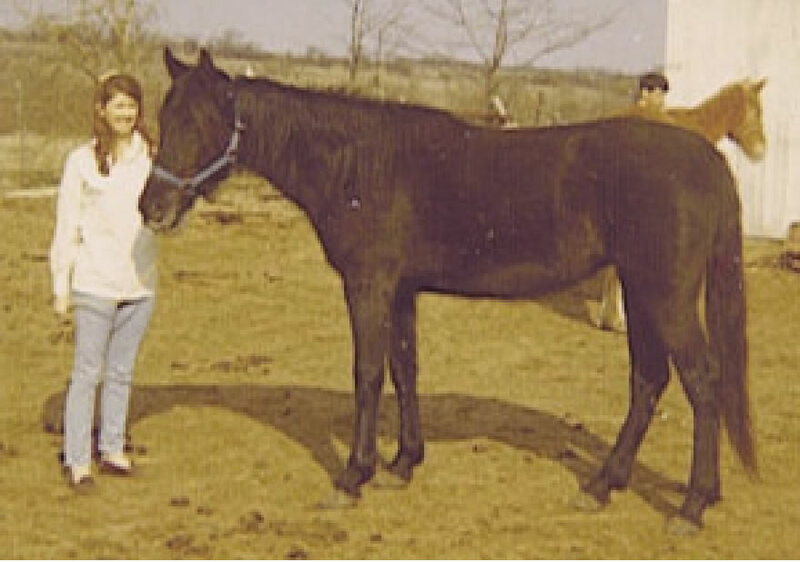 During the years that followed, Colleen was able to ride a number of Fox Trotters owned by her uncles in southern Missouri and developed a true love for the versatility of the breed. Once Colleen graduated from high school and got a full time job, her pursuit of the horse business began. With the assistance of one of her uncles, she located a spotted fox trotting mare by the name of Apache. She turned out to be a great horse and taught many of her siblings how to ride. Through the assistance of Curt Stone, Colleen’s herd continued to grow. Over the next several years, a number of young horses were purchased. By the time Bob and Colleen married in 1971, Colleen’s herd had grown to 13.Fortunately for the family, Bob had a strong interest in genealogy and also developed a love for the versatility of the breed. Through both of his interests, Bob was instrumental in breeding and registering some fine fox trotting horses that have had an impact on the breed. In the early 70s, Bob and Colleen raised and registered a number of foundation Fox Trotters and many have gone on to influence the breed. Bob and Colleen passed their love of horses on to their two daughters, Amy and Amber. While the girls were growing up, the family stayed busy with horse activities although they temporary stopped their breeding program. Starlight L. Purchased from Ernie Long, this mare was truly special. She was Colleen’s special horse and the one that taught both her daughters to ride. 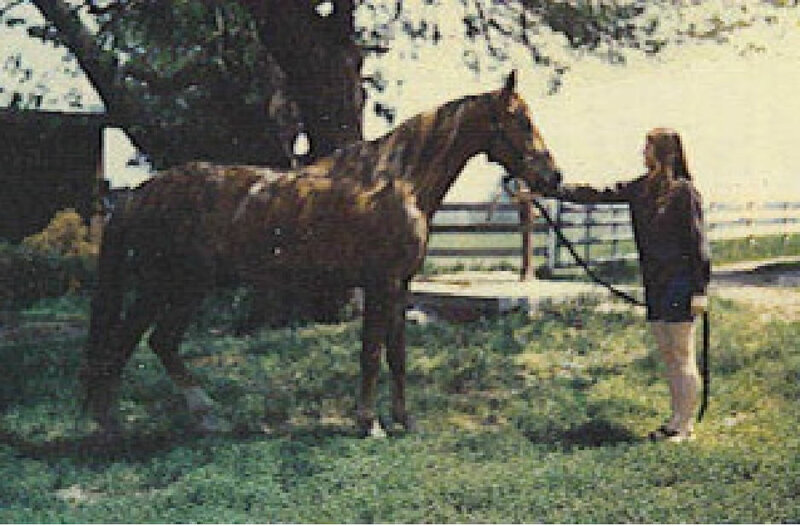 She produced Starshine, World Champion yearling model horse, and Amy’s Country Sunshine, dam to NATRC and MFTHBA Hall of Fame horse Hickory’s Country Gold. In 1999, after Amber graduated from college, Wilson Farms was revived. Since then it has expanded to include the whole family including Bob and our oldest daughter Amy and her husband Shawn. Today, Wilson Farms is a small breeding farm that focuses on quality rather than quantity. We focus on breeding horses that we would like to keep and use ourselves. Our family is still actively riding and promoting the Missouri Fox Trotting horse. These wonderful horses are used as performance and versatility show horses as well as for trail riding and working horses. We are proud that some of our stock have made their mark in endurance and competitive competition, search and rescue, in the show ring and on the trail. National Association of Breeders promoting this wonderful, versatile breed.